This is an easy meal that kids can make, that your family and friends will love! 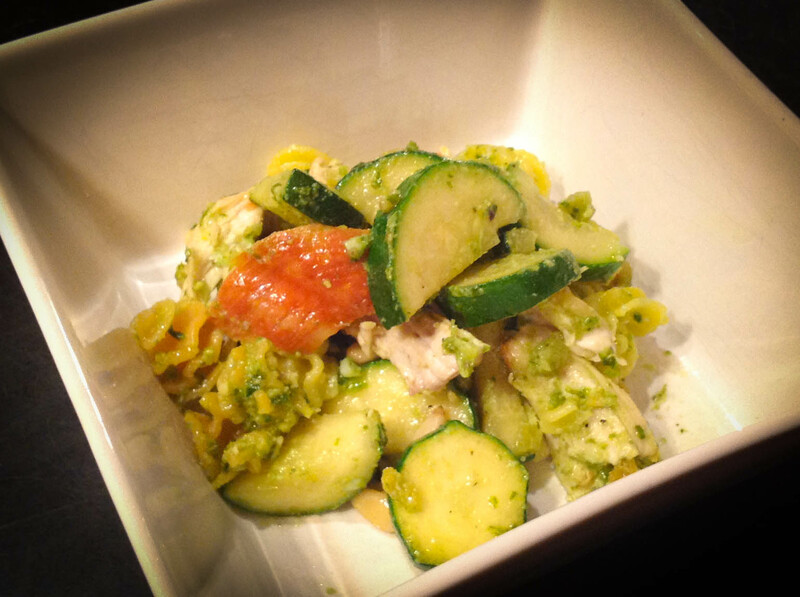 Chicken, zucchini, pine nuts, and pasta come together with pesto. I hope you like it! In a dry pan, toast the pine nuts until they are a little toasted on the edges. Be careful not to burn them! Place in a large bowl. To the same pan, add a little oil to the pan, and sauteé the zucchini. When they are cooked through, add that to the large bowl. To the bowl with pine nuts and zucchini, add your chicken, pesto sauce, and cooked pasta. Toss and enjoy!